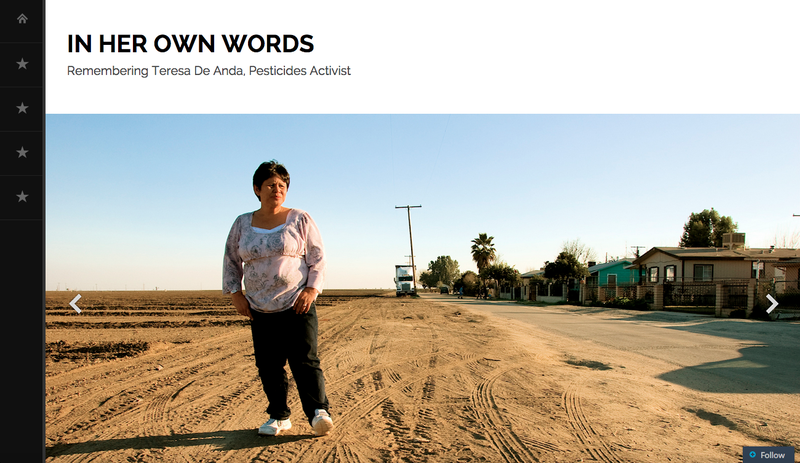 In Her Own Words honors the memory of California pesticides activist Teresa De Anda, who passed away after battling cancer in the fall of 2014. 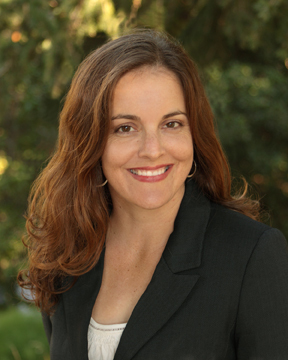 In sharing her stories, it also documents recent California history as it unfolds in the state’s often forgotten agricultural landscapes. Teresa’s work was vital to making the problems experienced by residents of these regions more visible on the public stage. Her efforts survive her in the laws she helped pass and the many people who found their political voice with her support. The oral history shared is drawn from a 2007 interview. Some of the content has been published before in Voices from the Valley and in Boom: A Journal of California. Much is shared on this site for the first time, with her family’s permission. To read about Teresa’s life in her own words, and see the accompanying photography, visit the site’s home page, In Her Own Words. For a short introductory essay, visit the Behind the Scenes page.